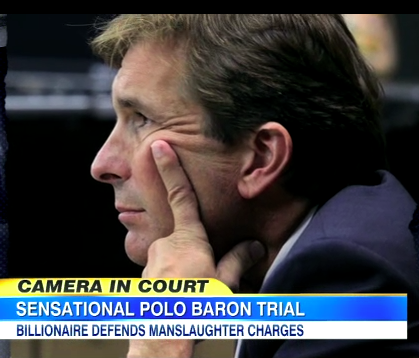 Dan appeared on Good Morning America this morning to discuss the developing trial involving Florida’s Polo Magnate, who first made headlines for trying to legally adopt his girlfriend. What Dan focused on this morning, though, are the criminal charges that this man is now faced with. 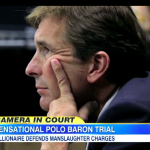 There are a lot of facts to reconcile when considering this DUI death trial, and though some speculators will say that money gets you out of DUI charges, “someone died,” Dan said, “this is a serious, serious case […] and the defense has a lot of explaining to do.” Driving his black Bentley GTC convertible after a night of drinking, Goodman plowed though a stop sign at 63 miles per hour and hit a Hyundai driven by 23-year-old Scott Wilson. Dan noted that the defense might call in experts from Bentley to explain how the car malfunctioned. The defense will still have to account for the drinking – the breathalizer said Goodman was drunk, Goodman left the scene, Goodman didn’t call the police for an hour. Dan thinks we should watch out for the defense and how they handle all the witnesses who supposedly served Goodman his drinks. “How many of these people actually watched him drink those drinks?” he posed. For Dan Abrams and the full discussion, click here.